water bottle (or soda bottle) braclet! Frist get a clean empty water or soda bottle and cut about a inch wide circle out so that its still a circle like a braclet. Then cut some yarn into long strings. 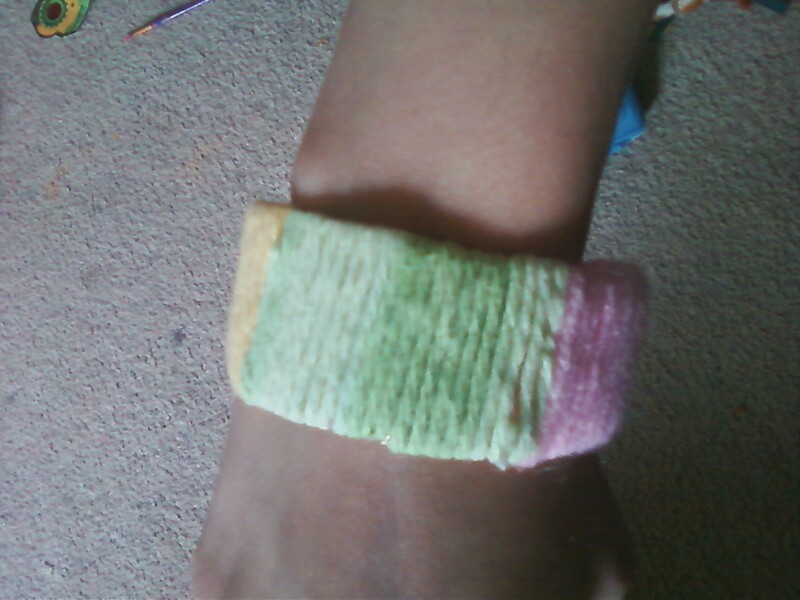 put glue all around the braclet and wrap the yarn around the braclet (I went from inside the braclet out so the whole thing is covered and there are no sharp edges showing that anyone can get hurt on) and let dry. Once dry you now have a new recycled braclet!